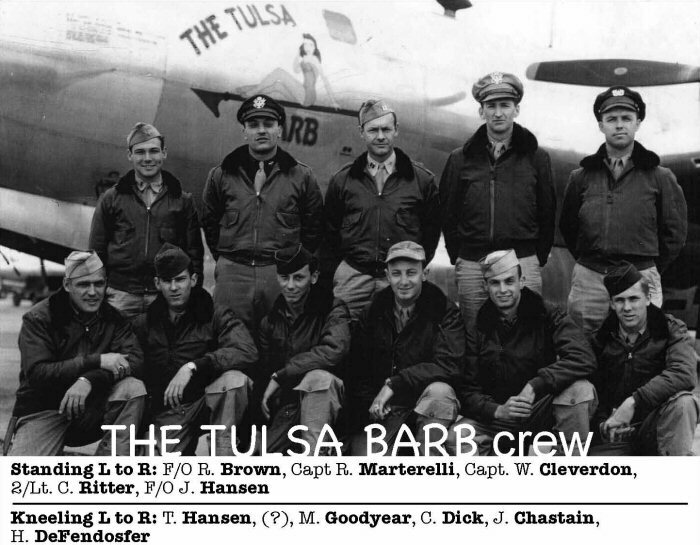 Thanks to 2/Lt Charlie Ritter for information about this plane and crew. 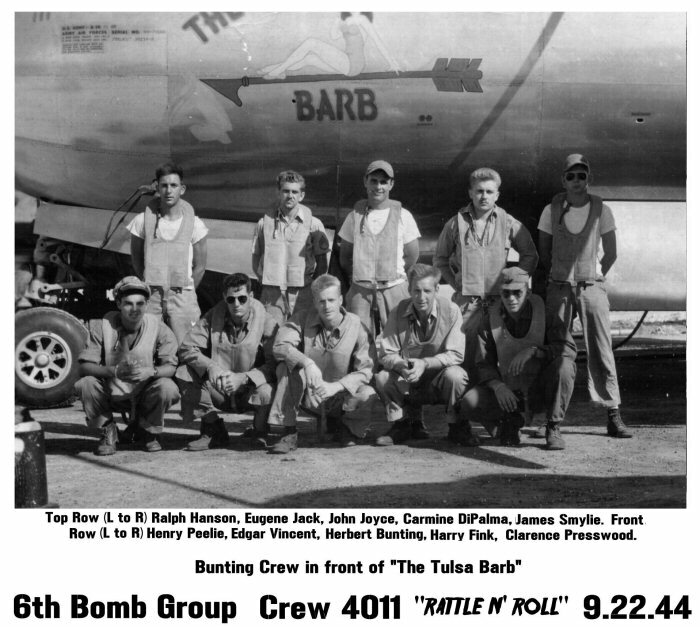 Crew 4011 in front of "Tulsa Barb". This is unusual since the crew belonged to the 40BS and the plane belonged to the 39BS. Photo courtesy of Jay Jack, son of S/Sgt Eugene E. Jack, all rights reserved. The Crew of this airplane is #39? ?.